A Siddha Yoga online account is required to register for and participate in Siddha Yoga Meditation: Meditation Sessions via Audio Stream 2019. When registering for an individual meditation session, you gain unlimited access to participate in the given session for one year, starting from the day of registration. When you register for the full series of meditation sessions, you gain unlimited access to all sessions held in 2019. Access to the full series expires one year after registration. The meditation sessions are being held via audio stream in English and become available as audio webcasts after the audio stream ends. A few weeks after the audio stream, the audio webcast will be available in French, Hindi, and Spanish. Please use up-to-date versions of the Google Chrome or Firefox browsers to participate in the streams and webcasts. How do I prepare technically for online participation? How do I prepare the space in which I will participate? Are there any prerequisites for participating in the meditation sessions? Are there any prerequisites for young people to participate in the meditation sessions at a Siddha Yoga Ashram, meditation center, or chanting and meditation group? What is the registration fee and how long will I have access to the meditation sessions? At what time will the audio stream of a meditation session begin? Can I participate in the audio stream or audio webcast on a different computer from the one I used to register? What are the recommended browsers for the audio stream and audio webcast? What is the recommended internet speed for participating in the audio stream? Do the audio streams and audio webcasts have visual elements? How do I change the visual quality of the media player? What is the cancellation policy for participation at a Siddha Yoga Ashram, meditation center, or chanting and meditation group? Click on the link “CREATE A NEW ACCOUNT” located in the top right corner of the Siddha Yoga path website. An email will be sent to your email address requesting you to validate your new account. Please create your new account in advance of your participation in the event. Prepare for a meditation session of this series by engaging with Gurumayi’s Message for 2019, which is on the Siddha Yoga path website. In order to participate in an online event, you need to sign in to your account on the Siddha Yoga path website. A few days before the event, make sure you can successfully sign in with your username and password. Click SIGN IN, which can be found on the top right corner of every page of the Siddha Yoga path website. If you cannot successfully launch a Commune with Nature video with sound, please contact Webmaster@syda.org at least two days in advance of the audio stream for further support. Practice hatha yoga, or other exercises that support physical strength and flexibility, in the days leading up to a meditation session, so that you’re able to sit comfortably for about one hour. There are no prerequisites for these sessions. They are available to seekers new to the Siddha Yoga path who wish to learn about meditation as well as to those who have an established meditation practice. Participants are invited to prepare for these sessions by engaging with Gurumayi's Message for 2019. If a young person age 17 or under wishes to participate unaccompanied by a parent, written parental permission is required. Please contact the location where you wish to participate for information. Children 12 and under may participate in the meditation sessions if they can comfortably sit through the entire session and meditate. It is recommended that the child speak with the coordinator of the event (or the local designated sevite for young people, if there is one) to get an overview of the event, including the length of the meditation session. If the child states that they can and would like to participate, they may register. For the US, if a young person has registered online and wishes to participate in a Siddha Yoga Ashram, meditation center, or chanting and meditation group, the steps above needs to be followed. There will be a total of nine meditation sessions in this series. One session will be held every month through September 2019. For example, if you register for Session I on January 26, 2019 at 7:00 p.m., then the audio webcast for Session I will be available to you until January 26, 2020 at 7:00 p.m. The meditation sessions will be available in English, French, Hindi, and Spanish. The audio stream will be in English. The audio webcast in English will become available after the audio stream concludes. The translated webcasts in French, Hindi, and Spanish will become available a few weeks after each meditation session concludes. You can register for the full series: $180 (for adults in the US) and $60 (for young adults in the US). Registering for the full series gives you unlimited access to all meditation sessions for one year following registration. You can register online for each session individually: $25 per session (for adults in the US) and $8 (for young adults in the US). The purchase of a session grants you unlimited access to that session for one year after registration. To register and participate at a Siddha Yoga Ashram, meditation center, or chanting and meditation group, you may register at that location. The cost is $15 per session (for adults in the US) and $5 per session (for young adults in the US). For the cost in other countries, please contact the location where you wish to participate. You will not have access to the session afterwards. Participate online via audio stream or audio webcast or at a participating Siddha Yoga Ashram, meditation center, or a chanting and meditation group. Residents of the US can register online and participate at no additional cost in a location in the US, if they provide proof (e.g., a copy of their confirmation email) of their online registration for the respective session. For countries other than the US, contact the location where you wish to participate for local registration details. Contact the Siddha Yoga Ashram, meditation center, or chanting and meditation group where you wish to participate. The audio stream will begin at 10:00 a.m. Eastern Standard Time (USA), with entry music starting to stream at 9:30 a.m. EST. You may invite non-registered participants to sign into their Siddha Yoga online accounts on your computer, or they can register at home on their own computers and participate with you. Yes, you can participate on any computer or electronic device with access to the internet, such as a smartphone or tablet. To launch the meditation session, click on the Sign In link in the top right corner of the homepage of the Siddha Yoga path website (www.siddhayoga.org) and sign in with the same username and password that you used to register. The audio stream and audio webcast contain slides throughout the session. 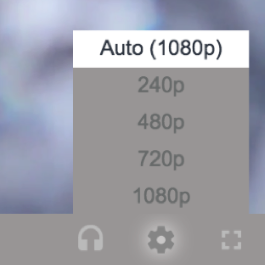 If you do not have the capability to project the visual content adequately, the “audio only” option is available by clicking on the headphone icon in the lower right corner of the player. This will not detract from participants’ experience of the session. You will not be able to pause or rewind the audio stream. You will, however, be able to pause, rewind, and replay the audio webcast once it becomes available after the stream concludes. If you are having technical difficulties, please see Technical Information or email Webmaster@syda.org. To cancel your registration, please send an email to Webmaster@syda.org. Payment can be refunded only up to 30 days from the original date of payment. The fee for an individual session which has not been launched, or for the full series of meditation sessions for which no sessions have been launched, can be refunded minus a 10% processing fee. The fee for an individual session cannot be refunded once the session has been launched. The fee for the full series of meditation sessions can be refunded within thirty days of the original date of payment, and the refund will be reduced by $25 for each session that has been launched. For example, if you paid $180 and launched one sessions, and then canceled within thirty days of your original date of payment, you would receive a refund of $155. To cancel your registration, please contact the location where you registered. If you cancel prior to the start of the event, a 10% cancellation fee will be withheld. If you cancel after the start of the event, the registration fee will not be refunded.